8025 ft (2446 m) . The Isanotski Peaks are the spectacularly eroded remnants of a large stratovolcano on Unimak Island. 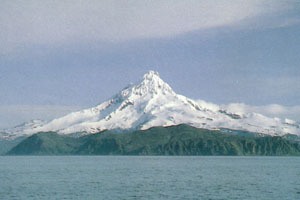 Isanotski is the second highest mountain in the Aleutians, trailing only its western neighbor Shishaldin. The upper portions of the cone form a number of very steep spires and pinnacles separated by deep couloirs, all typically encased in a thick layer of rime ice. 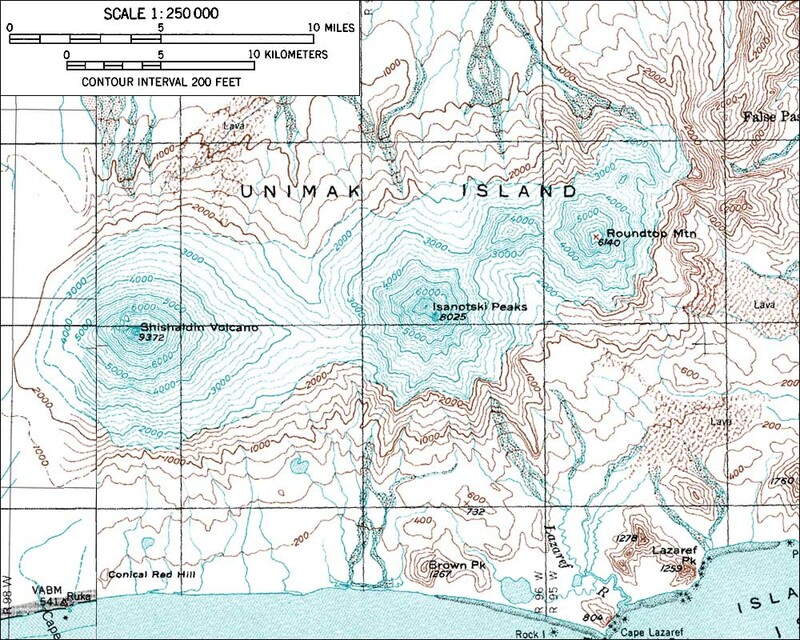 Isanotski is by far the most difficult mountaineering challenge in the Aleutians, and a ski descent from anywhere near the summit would certainly fall in the extreme category. 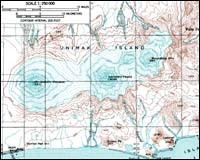 The best way to reach Unimak Island is to fly into the native village of False Pass, about 15 miles (25 km) east of Isanotski, from Anchorage via Cold Bay on Pen Air. The neighboring summit of Roundtop would also provide a fine (much easier) ski mountaineering objective from False Pass on the way to Isanotski and Shishaldin.